Back in the days of Hollywood hard-hitters and henchmen it was perfectly acceptable for action movie stars not to say very much. Our heroes (and our villains) had names like Schwarzenegger, Stallone, Bronson, Darth Vader, and the TX-32. They were big; they were beautiful, and very, very dangerous. That said, they did have their limitations and ‘Yo Adrian!’ was about as close as they got to a complete sentence. However times have changed and we now demand more from our movie stars. Sure we still want their muscles and power but we also expect them to arrive on screen with a modicum of intelligence and a morsel of grace. Cue Matt Damon and Paul Greengrass, the dynamic duo who together forged Jason Bourne; a hero of the everyman that would go on to redefine our definition of the action hero forever. Not content to bask in the limelight of their Bourne legacy, Damon and Greengrass are now back at it with Sgt Roy Miller, a new breed of action hero at the heart of their hard-hitting thriller, Green Zone, out now on Blu-ray and DVD, and with the evolutionary chain form Neanderthal to nuanced hard man now complete, what better time could there be to trace through 80 years evolution of the movie action hero? Two very different heroes share the limelight. Only time would tell which one would prevail. 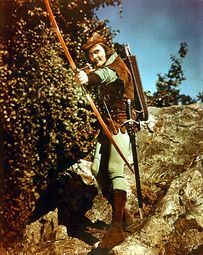 Errol Flynn: The entire world fell in love with Errol Flynn when he appeared on screen for the first time. His devil-may-care attitude and swashbuckling exploits made him an instant hit with pre-war audiences. Here was a fearless hero who literally laughed in the face of danger. Superman with a sword! Johnny Weissmuller: This Hungarian born Germanic/American swimmer was in every sense a glimpse into what would become of the action genre in the 80s. With a background as an athlete and dialogue limited to grunts and pointing, here was an early incarnation of a certain Mr. Schwarzenegger. One man ruled the 1940s and the 1950s. His name was John Wayne but his friends knew him as “The Duke”. 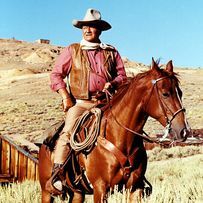 John Wayne: An enduring American icon and one of the greatest action movie stars of all time, John Wayne epitomised rugged masculinity throughout his long career. As audiences demanded both physical strength and character, here was a hero who had the ability to destroy his enemies with words before kicking their asses. The decade of rebellion brought us a change in action hero culture. All of a sudden being bad. Steve McQueen: Yes, John Wayne was masculine and strong but he was still bound by the rules of life and he never dared break them. Enter Steve McQueen. We wanted our heroes dangerous and unhinged, we wanted smokers and drinkers, we wanted motorcyclists who were too cool for safety helmets. We got ‘The King Of Cool’. Do I feel lucky? Well, do ya, punk? Yet another shift in heroic portrayals meant that the 70s would give us a cross between the driven professional and the anti-hero. !(feature_l)http://relayer.s3.amazonaws.com/articles/spreads/4c964a6bc1531723a0000ca9.jpg! Clint Eastwood: Steve McQueen only thought about himself and had major disregard for anyone around him. Harry Callahan on the other hand broke the rules only to protect those around him and uphold the law. Here was an anti-hero but one that also possessed a conscience… and a .44 Magnum, the most powerful handgun in the world. The early 1980s replaced the gun with muscles and sweat. Sylvester Stallone: The Italian Stallion remains an icon of never-ending machismo and good old-fashioned American brute force. After finding success in the 70s with Rocky he focused on big muscle bound action pictures that defined the era. The Rocky sequels became more and more brainless and John Rambo was brute force incarnate. The action hero changed in the late 80s  as audiences wanted someone that looked more like them. Bruce Willis: Following on from the release of Die Hard in 1988, the 90s were Bruce Willis’ decade. He wasn’t blessed with ripped muscles, he just happened to be in the wrong place at the wrong time. He wasn’t tall or imposing. He was a normal man with a dirty vest and a receding hairline. The action hero of today is the perfect blend of macho tendencies, moral decency, strength, honour and likeability. Matt Damon: It’s pretty fair to say that Jason Bourne redefined action heroes in a major way. This was a hark back to the anti-hero of old but with one added difference. For the first time ever we actually cared for a cold hearted assassin. With Green Zone Damon shows us the other side of the coin. Chief warrant officer Roy Miller is as human as they come with an unmatched bravery of epic proportions. He isn’t a huge beast of a man, nor does he posses an entire back catalogue of one liners and zingers. He has brains to match his physical ability and a supreme level of professionalism. He knows how to do his job and he does it very well. The evolution of the action hero has reached its peak and we now have the role model to end all roll models. 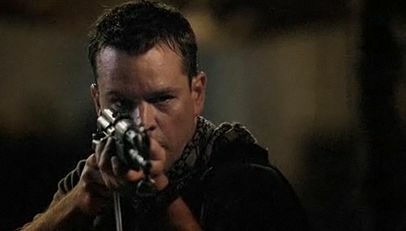 Check out Damon in Green Zone, out now on Blu-ray and DVD.